Ravi Karandeekar's Pune Real Estate Advertising and Marketing Blog: Launched! 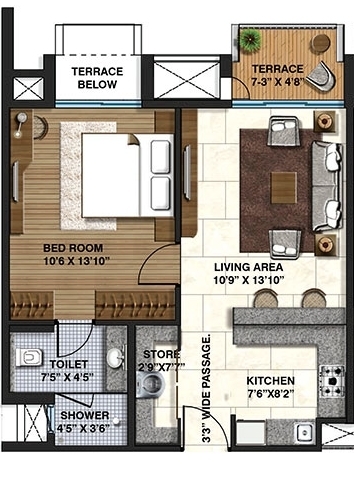 1 BHK Flats at Lodha Belmondo Pune!! Launched! 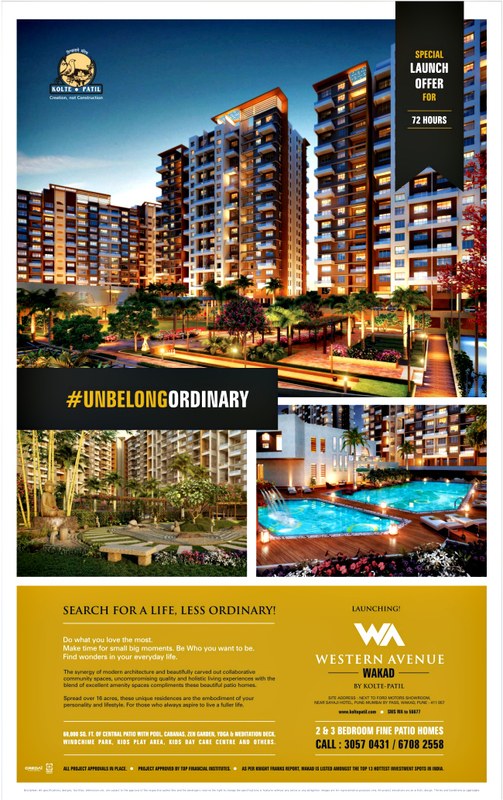 1 BHK Flats at Lodha Belmondo Pune!! Special Launch Offer for the First 36 Bookings! 1) Launching! 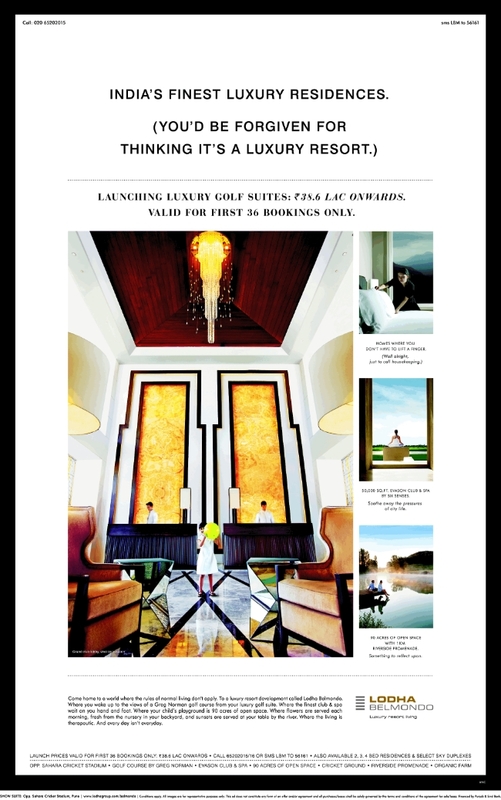 1 BHK Golf Suites at Lodha Belmondo!! Ira at Undri - Launched! Launched! New Phase of DownTown Kharadi!! Pre-launch Offer! Riviera Hinjewadi Estates!! Launching! 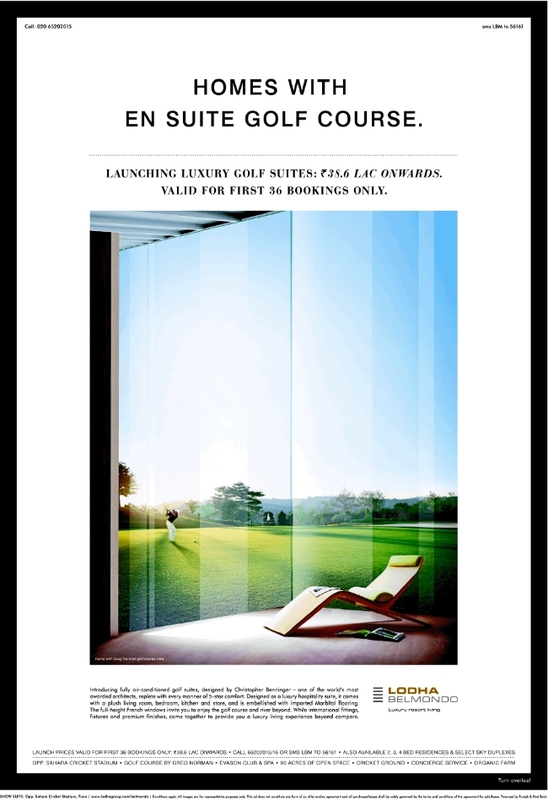 1 BHK Golf Suites at Lodha Belmondo! !